Tag Archive | "iphone 4"
After months of speculations and expectations, the iPad 2 has finally arrived; however, Apple already confirmed that it will be sold online first. A lot of iPad enthusiasts breathe a sigh of relief as this means they can avoid the expected long lines in gadget stores. If you do not have the patience to wait a couple days for shipping, the Apple iPad 2 will be available in all Apple stores, AT&T, Walmart, Verizon, Target, and Best Buy one day after its online release. Everyone who purchases the latest iPad in Apple retail stores will be delighted with free services; such as, e-mail set-up, applications, and more. For those who will opt to order iPad 2 directly from the Apple official website, they will be given free shipping and an online exclusive offer of free iPad engraving. 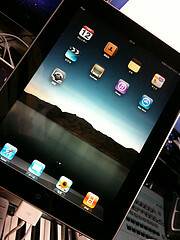 Apple showcased a thinner, lighter and sleeker iPad 2 with a promise of faster performance. The new iPad also has rear and front camera for video chat; something its predecessor lacked. Tech bloggers especially enjoy the extended battery life, which has now reached 10 hours; and its smart cover. However, iPad 2 fell short of a few people’s expectations. Some complained that the unit does not have a crisp retina screen like that of an iPhone 4; while others noticed that it was not constructed with Corning Incorporated’s Gorilla Glass Display which is a cause of dismay for many. The 16GB Wi-Fi iPad 2 is priced at $499 while the 64GB Wi-Fi with 3G unit is sold for $829. The latest innovation in iPad comes in black and white. Verizon Wireless announced on Tuesday that they will be selling their version of the iPhone 4 starting February 10 of this year. This gives iPhone buyers in the United States a different choice of carrier for the first time after three and a half years. The iPhone has been sold exclusively by the wireless carrier AT&T Inc since it was released to the U.S market in 2007. Many people were frustrated by this lack of network choice. The launch event held on Tuesday finally ended the monopoly on Apple Inc’s iPhone. Many people are already excited to get this phone in their hands through the Verizon network. Tim Cook can not even tell the number of times he has been asked by his colleagues about when the iPhone will work for the Verizon Wirelss, the Apple chief operating officer said on the Tuesday’s event. For existing Verizon customers, the pre-orders for iPhone will start on February 3. The given price will be $200 or $300 along with a two-year contract. That is about the same price and concurrence as the iPhone through AT&T. With wider domestic network coverage than AT&T, Verizon is thought to offer better features particularly for the older “3G” wireless broadband. The carrier covers several areas within the country that AT&T does not. In addition, iPhone service by AT&T in big cities can be spotty most likely because of crowding in the network. However, it is still unclear as to how many people will shift from AT&T to Verizon. Verizon did not mention anything about their iPhone’s service plan along with pricing on Tuesday. 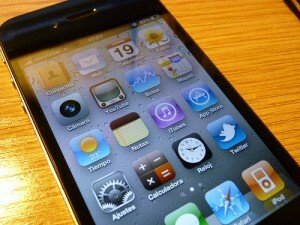 AT&T has sold about 11.1 million iPhones in a period of nine months in 2010. Analysts are expecting Verizon to sell about 5 to 13 million iPhones this year.